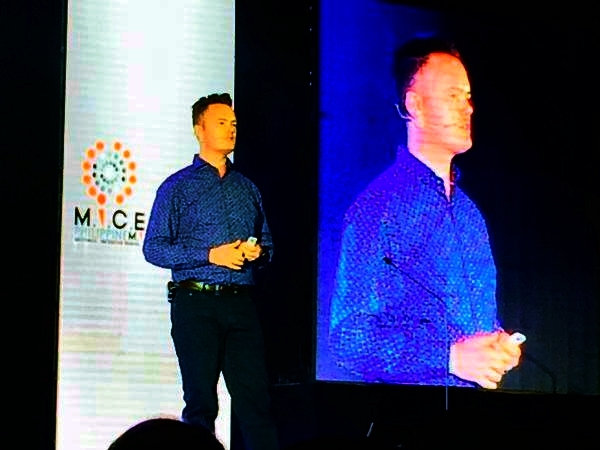 The MICECON 2015 started today alongside Philippine Travel Exchange (#Phitex360) at Marriott Grand Ballroom, Pasay City. One of the interesting information shared is about Millenials (Age 19 -34). In a presentation by Peter Jordan, Senior Tourism Analyst of Toposophy, he revealed the top five countries Philippine Millenials would love to visit. The same list is also true for all the Millenials all over the world. Millenials are digital natives. They use the social digital platform actively. It said that 1.8 Billion out of 7 Billion world populations are Millenials. It is the first time that MICECON and PHITEX are staged together. The event attracted almost 1,000 delegates. On the third day, there will be a buyer-seller meet-up, expected on this meeting are 200 international buyers and 200 sellers. MICECON 2015 and PHITEX 360 will run until September 3, 2015. The event is produced and organized by the Tourism Promotions Board.